Do you think visitors to your site will benefit from these FREE career articles? You have full permission to distribute in your ezine, website, blog, forum, RSS feed or print publication and/or distribute it as a free bonus with other products, provided it is left completely intact, unaltered and delivered FREE and not be sold. What we ask is to include the FULL Resource box or SIG line provided below in your distribution and to make the link active/linkable with no syntax changes. If you run a community newspaper, or any newspapers for that matter – free or otherwise - you can use these free career articles as a column before the classifieds job opportunities section. It helps add value to your readers. Or if you are running a career center and send newsletters out, you can also use these free career articles in your newsletter. Lecturers have used these free career articles for their English, Management and other classes. It is up to you how you want to use it, as long as the article remains intact. After all, we did create this site to be helpful to others. We will continue to add more free career articles here you can reproduce. Do check out this section often. 3. Achieve Career Success with 5Ds? 18. Great Employee Qualities: Do You Have Them? 21. New Year Career Resolution: What Do You Do If You Do Not Know Your Calling Yet? 25. Great Employee Qualities: Do You Have Them? 28. Great Employee Qualities: Do You Have Them? Long Yun Siang or Long, as he is popularly known runs http://career-success-for-newbies.com with his wife Dorena as their way of paying it forward. Their website – based on their real life experience - provides tips, tools and advise for newbies pursuing career success. 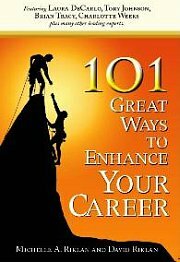 In addition to the free career articles, click here for our FREE career ebooks.